Greetings from Belgium, Luxembourg, Netherlands, Germany,Austria, Switzerland, and Italy! Today, we’re excited to announce that we‘re expanding Google for Nonprofits in Europe. In partnership withTechSoup, Google for Nonprofits is now available in these countries, servicing tens of thousands of organizations in the region. Google for Nonprofits offers nonprofits discounted and free access to Google products. These tools can help your organization go further, faster, whether it’s working more efficiently, finding new donors and volunteers, or getting supporters to take action. Google Apps: Free version of the Google Apps business productivity suite, including Gmail, Docs, Calendar, and more. Many nonprofits around the world are already taking advantage of these programs to recruit new volunteers, fundraise and raise awareness about their work. 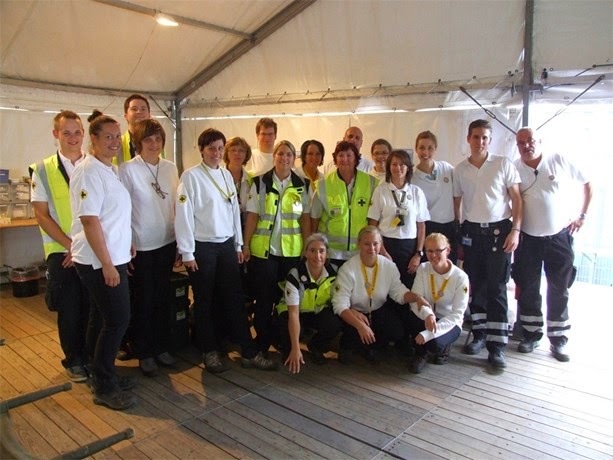 Het Vlaamse Kruis (The Flemish Cross), a Belgian nonprofit that has been active since 1927, aims to ensure that first aid is offered in the most efficient way throughout the Flemish region. Recently, they have been using Google AdGrants to support their outreach efforts. "Creating visibility and promoting our goals is an important part of our mission since we need a continuous influx of new volunteers, financial gifts and other forms of assistance. By using Google AdWords we’ve been able to increase our visibility enormously resulting in a significant increase in website visits and requests for information via our website. Google AdWords for Non-Profits has enabled us to use a world-class service at zero cost to our organization," said Peter Jensen a representative from Het Vlaamse Kruis. Using the momentum that has been established by organizations such as Het Vlaamse Kruis, we can’t wait to continue partnering with organizations in Belgium, Luxembourg, Netherlands, Germany, Austria, Switzerland, and Italy starting with today’s launch.